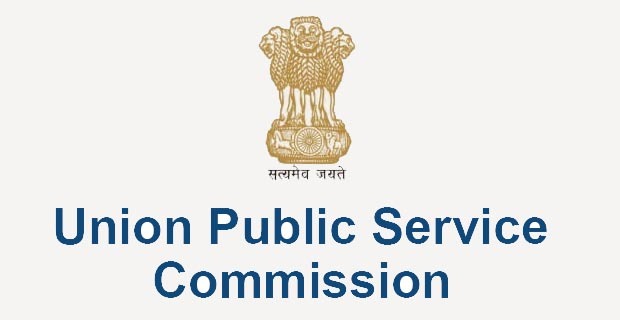 UPSC CAPF Assistant Commandants (ACs) Exam Syllabus 2018 2019 | UPSC CAPF Assistant Commandants (ACs) Syllabus and Exam Pattern are given on this page. So, candidates who are searching for the UPSC CAPF Syllabus 2018 they can collect full PDF on this page. c0 Assistant Commandants (ACs) Syllabus plays a prominent role in any exam preparation. Without having UPSC CAPF Assistant Commandants (ACs) syllabus and Exam pattern nobody can know which subjects to prepare for the examination. You can check all details of Madras High Court Syllabus here. Are you looking for the free download? Then go through this section. (i) Written Examination: The written examination to be conducted by Union Public Service Commission will be held on 12th August, 2018 and will comprise two papers. Paper I will be held from 10 a.m. to 12.00 Noon and Paper II will be held from 2.00 p.m. to 5.00 p.m.
NOTE-I: Candidates should ensure that in Paper II they write the answers only in the medium allowed by the Commission for the different Components as mentioned above. No credit will be given for answers written in a medium other than the one allowed in the Paper. Candidates will be required to indicate the medium of Essay Component in the Attendance Lists and on the Answer Book. No credit will be given for the Essay Component if the candidate indicates a medium on the Attendance List and on the Answer Book other than the one in which he/she has written the Essay. Pregnancy at the time of PET will be a disqualification and pregnant female candidate will be rejected. Medical Standards Tests, to check the standards specified in Appendix-VI, will be conducted only in respect of candidates who are declared qualified in the Physical Efficiency Test. The Physical Standards/Physical Efficiency Tests and Medical Standards Tests will be conducted under the supervision of a Nodal Authority to be appointed by the Ministry of Home Affairs. These tests will be conducted at various centres to be notified after the results of the written examination. Appeals will be entertained only against the Medical Standards Tests and will have to be made to the Appellate Authority designated by the Ministry of Home Affairs within a period of 15 days from the date of declaration of the results of these tests. (iii) Interview/Personality Test : Candidates who are declared qualified in the Medical Standards Tests, will be called for Interview/Personality Test to be conducted by Union Public Service Commission. Candidates who are declared medically unfit but allowed to appear before the “Review Medical Board” on their appeal by the Appellate Authority will be called for Interview/Personality Tests provisionally. The Interview/Personality Test will carry 150 Marks. Candidates who are short-listed for Interview/Personality Test, including those shortlisted for Interview/Personality Test provisionally will be issued a Detailed Application Form (DAF) in which among other things, they will be required to indicate their preference of Forces.